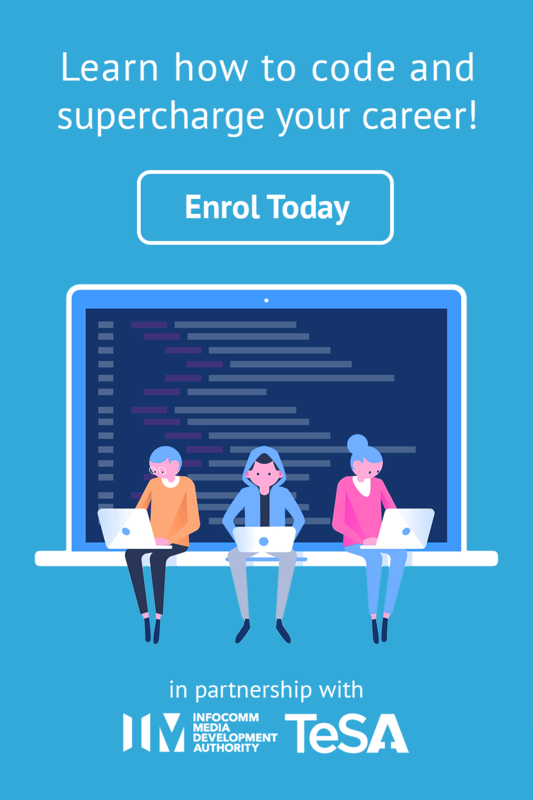 ALPHA Camp’s coding bootcamp veterans come from a wide array of professional backgrounds, and many of them have harboured doubts about their previous job for a while before biting the bullet and jumping ship. This article is for those of you who are currently working in the finance industry, secretly wondering if you should switch tracks and become a software engineer or application developer. We sat down with ALPHA Camp graduate Ashleigh Rhazaly, 27, to talk about his own journey from a trader to his current job: a technology executive on The Development Bank of Singapore’s (DBS) digital and innovation team. Tell us about your previous job in finance. Ash: I graduated with a bachelor’s in economics, so I used that degree to land my first job in finance. I specifically wanted to be a trader, because I was really good at statistics, and I wanted to apply my statistics skills to trading. Ash: I got the job, and I realised that it wasn’t the promised land that I thought it was, so I thought that I didn’t really like it; frankly, I found it really boring. There wasn’t really a sense of fulfillment as a trader, and I don’t mean disrespect to the traders out there, but I felt like I was a sophisticated gambler, and that’s not who I wanted to be. When I worked as a trader, I could never envision myself doing the same job in five or 10 years, and that’s pretty much why my interest disappeared pretty quickly. How did you get acquainted with coding? Ash: How I got into software development? That was also at my last job as a trader. When my boss asked me to come up with some analysis and I had no idea how to do it, I thought that maybe I could pick up [some] programming language on the side to help me. And it really did. I really enjoyed the process because I learned the programming language Python to do some analysis and it was really fun to do. The solace I found in my old job was actually every time I [was learning about] programming and did programming [projects], rather than the actual trading. So I left that job, and I decided to pursue software development to the next level. What kind of coding did you first get into? I did Python, I used it for data analysis and data visualisation. So I learned that on my own [on udemy] but it was really easy. And when I tried to take it to the next level, that was when things got hairy. I imagine it took a while to figure out your next step. What did you do? Ash: When I tried to do that, I went around asking questions because I didn’t know how to [get started]. You know what they say: I don’t know what I don’t know. [After asking around], I thought I might join a coding bootcamp, and at the time I had no idea what a coding bootcamp was. I just wanted to be around people who had the same dilemma as me, and that’s when I found out about coding bootcamps. With all the coding bootcamps out there, what made you decide to go with ALPHA Camp? Ash: I found out about ALPHA Camp was when I was on General Assembly’s Facebook page, where I saw a banner ad [for ALPHA Camp], and I thought I should check out the competition. I really liked what I saw. A few days later, I spoke to ALPHA Camp’s program manager at the time, and I really loved their hands-on approach. What I liked about AC that made them different from the rest was that you have a demo day, that’s what I really liked, and what really stood out from the other bootcamps. It was the tipping point for me to choose them. And also because of the instructor. Our instructor was a very accomplished web developer, and very knowledgeable. Anything else about Alpha Camp that stood out to you immediately? Ash: The first time I set foot in ALPHA Camp, I saw Bernard, and he immediately knew who I was even though I had never contacted him before. I thought it was very interesting that the founder knew who I was, it was very nice that he knew of me. Tell us about Demo Days. How did yours go? Ash: Demo Day was where I got to showcase what I learned over 12 weeks, and I remember what my team did was to recreate something like Dropbox. 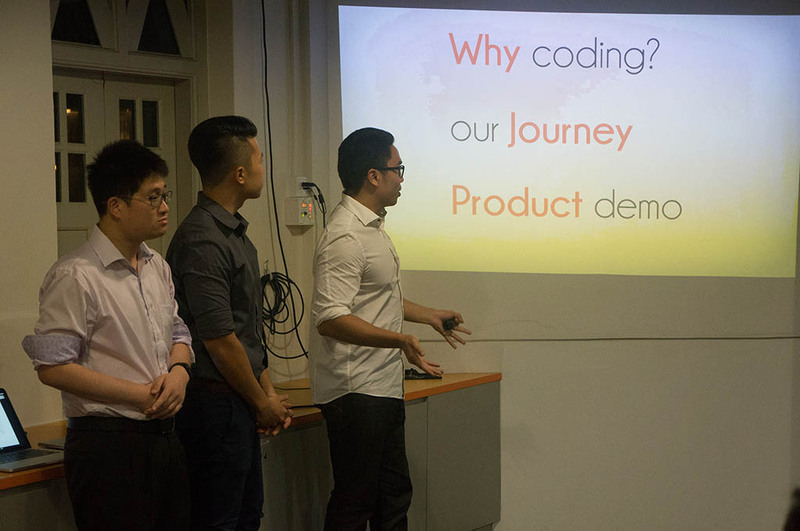 It was very daunting because none of us had the skills to do it, much less to do it in three weeks, but we got down and dirty [with the code] and we managed to pull it off, and showcased it to people. How do you think technology is affecting the finance industry? I think it’s becoming more imminent. Right now, I know with my old job, instead of hiring finance individuals, more so [the management] is looking for computer science majors entering the finance sector right now. I would definitely say technology is taking over finance in a big way; you don’t need to know finance, but some level of programming knowledge will certainly help. How is your new job treating you? Ash: I have a huge sense of fulfillment [from what I do], and I look forward to work every day—as hard as it is to believe that I’m the one person who actually likes going to work! Because I get to work with individuals who are extremely smart, and extremely helpful. What would you like to say to people who are debating if they should make a similar jump in careers? Ash: For people who are still sitting on the fence, you really have to know why you are doing [the transition]. For me, initially when I joined ALPHA Camp, I wanted to work on my own startup, but I had no idea at all what a developer does. I do have the knowledge from my trading job but it wasn’t enough for me to launch my own startup, and I decided if I’m going to be a CEO then I will need some tech experience. I remember our instructor [at ALPHA Camp] told us, “If you want to do a startup, go and get some experience in a tech firm or in a company like DBS, because if you just dive in, you are going to fail very fast and very hard. And you’re going to lose a lot of money!” So why not just learn while you’re at your job? Later, you can launch your own startup.